Filming with Primary School children from St George the Martyr Primary School on history of Leather Lane Market went very well. Recording over 50 oral histories, over the two days. 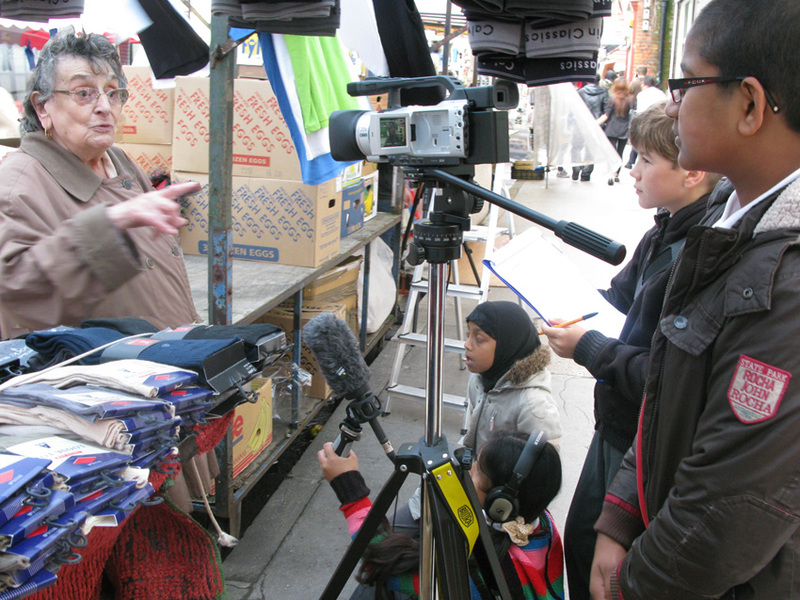 Pupils from St George the Martyr Primary School interviewing a trader on Leather Lane market. After working with the young children, training them in research, filmmaking, interview techniques and oral history. Digital:works spent time with them out on the market recording the fascinating history of this street market, interviewing the traders and shoppers, and capturing a vivid snapshot of the market as it is today. The resulting film is part of The Stall Stories project, conceived, coordinated and implemented by digital:works and funded by Heritage Lottery Fund.